Jarvis Moore serves as VP-Geosciences for Black Mountain Oil and Gas. Mr. Moore has over 20 years of diversified Geological experience in the upstream Oil and Gas industry including positions with companies such as XTO Energy, Clearfork Resources, and Encore Acquisitions Company. 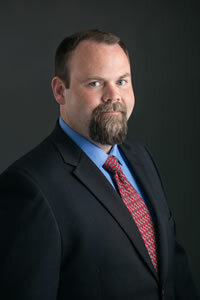 He is a licensed Professional Geoscientist in the state of Texas and a SIPES Certified Earth Scientist. He holds a B.S. In Geology from Georgia Southern University and a M.S. in Geology from Texas Christian University. In addition to being a past-president and current member of the Fort Worth Geological Society, he is an active member of both the American Association of Petroleum Geologists (AAPG) and the Society of Independent Professional Earth Scientists (SIPES).